Touring shouldn't have to be complicated. Mount your splitty with a pair of Union Expedition Splitboard Bindings and get out there. Union s Split System is easy to mount and ride (with no need for 3rd party pucks) and designed to minimize the amount of time spent converting from climb mode to ride mode so you can focus on the fun parts of touring where you actually ride downhill. Plus, a responsive Force EXP highback with Quick Flip forward lean adjust makes it easy to dial in a custom ride. 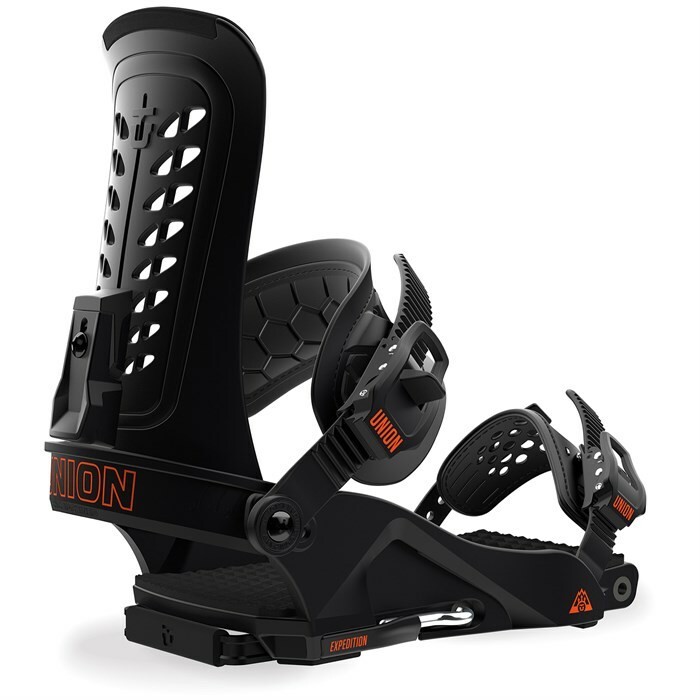 Whether you've never toured before or have years of experience in the backcountry, the Union Expedition Splitboard Bindings make your ride simple, smooth and most importantly, an absolute blast on the rip down. Extruded 3D Aluminum Heelcup  The rigidity and strength of Extruded Aluminum acts like a roll cage on a race car - stiffening the entire chassis. The male/female connection with the base provides seamless response. Forma Ankle Strap  New and improved, the design of the Forma Ankle Strap produces strength and rapid response on the outside, fit and pillowed comfort on the inside. Force EXP Highback  This responsive highback is light and durable for a premium splitboarding experience.